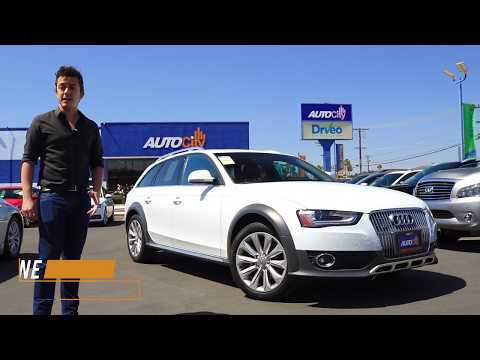 In the world of luxury wagons, the 2016 Audi Allroad practically owns the entire segment. With the exception of the Volvo V60 Cross Country, no other wagon offers the Allroad's combination of ground clearance, all-wheel drive (AWD) and luxury pedigree. It's the perfect antidote for those who need the capabilities of a midsize SUV, but prefer a more car-like demeanor. Audi off-road vehicle is amazing. I haven't had any issues with my Audi, the overall performance of my Audi is absolutely amazing, it is a very reliable vehicle, the comfort is out of this world (I could literally live in my Audi), and it comes with all the best features you could possibly want or need in your vehicle. Keep it well maintained is key to getting max performance. It will also pay off in repairs later. My car is a wagon, but that doesn't mean it's just for families. With a turbo engine and four wheel drive, this car has power. Leather seats and the latest in bells and whistles makes this car a true luxury as well. Keep your car well maintained and you'll have no problems. This isn't a car that you only take in for oil changes. Keep to the recommended maintenance schedule. Wonderful wagon that doesn't feel like a wagon. It's got the room of a wagon, but the pick up and go of a sports car. A wonderful car with a great turbo engine and beautiful styling. This 2016 Audi Allroad Features 3 Years Worth Of Improvements Over The Last! SOLD!